Describe about the Parabolic Dish Receiver? Parabola is a mathematical term that shows a curve bulging inside. Parabolic antennas or called as parabolic dish are very useful in high-gain antennas for point to point communication that carries data or information from one point to another. The antenna is a term that refers to an electrical conductor and carries two related terms with it termed as transmitter (that will radiate electromagnetic energy into space) and receiver (it will collect electromagnetic energy from space). Communication medium is the most valuable area in networks and in the world of communication systems today. Combination of guided and unguided medium made it possible to communicate among various networks. As the field and study of radiations and antennas is vast one, incomplete information does not make sense and that was a major reason to select such project that will enhance the knowledge of communication networks through microwave radiations with to make a parabolic dish receiver located at the fixed focus of dish. The IEEE definition of an antenna as given by Stutzman and Thiele is, “That part of a transmitting or receiving system that is designed to radiate or receive electromagnetic waves”. The reflector can be of various materials like sheet metal, wire grill construction etc., a metal screen reflects radio waves that comes to it and that are linearly polarized. Gain can be achieved by directing the radiations in different ways based on their patterns. b.2 Antenna efficiency- it can br measured through the integral of the radiation over the radiation input power and can be measured according to the antenna efficiency. b.3 effective area-antenna captures through passing the waves and passing the data to the data terminals who are ready to send and receive the data and power is delivered to the terminals and that will be a product of the same. b.4 directivity-is the measure of concentration that a radiations has on the dish that gives it a power. where k is a factor which varies slightly depending on the shape of the reflector and the feed illumination pattern. For an ideal uniformly illuminated parabolic reflector and θ in degrees, k would be 57.3 (the number of degrees in a radian). For a "typical" parabolic antenna k is approximately 70. For a typical 2 meter satellite dish operating on C band (4 GHz), this formula gives a beamwidth of about 2.6°. For the Arecibo antenna at 2.4 GHz the beamwidth is 0.028°. It can be seen that parabolic antennas can produce very narrow beams, and aiming them can be a problem. Some parabolic dishes are equipped with a boresight so they can be aimed accurately at the other antenna. Measure the depth using a tight fishing line across the dish and a rule to measure depth c.
Parabolic dish showing measurements needed to determine focal length. Communication medium is the most valuable area in networks and in the world of communication systems today. Combination of guided and unguided medium made it possible to communicate among various networks.As the field and study of radiations and antennas is vast one, incomplete information does not make sense and that was a major reason to select such project that will enhance the knowledge of communication networks through microwave radiations with to make a parabolic dish receiver located at the fixed focus of dish. 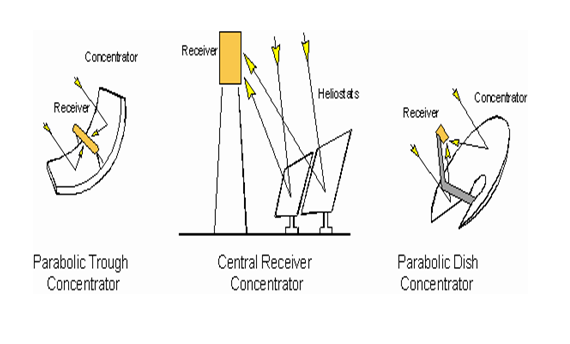 Parabolic antenna works on the principle of a point source of radio waves which mets at the focal point of reflector, also known as paraboloidal reflector of material which will be reflected into a plain surface beam along the axis of the reflector. Basically a parabolic antenna has a parabolic reflector that reflects from its focus point. As the field and study of radiations and antennas is vast one,The reflector can be of various materials like sheet metal, wire grill construction etc., a metal screen reflects radio waves that comes to it and that are linearly polarized. Concluding the report a parabolic antenna works on the principle of a point source of radio waves which meets at the focal point of reflector, also known as paraboloidal reflector of material which will be reflected into a plain surface beam along the axis of the reflector. Antenna Gain is a measure that has the ability to direct input the waves in particular direction and measured at the radiations on its intensity of working.